UPS systems are a critical power infrastructure component and will require regular maintenance inspections and testing. Without regular inspection and testing during its operational life, you cannot guarantee the integrity of an uninterruptible power supply and its ability to provide emergency back-up power. Apart from the fact that UPS are complex electronic devices whose components age whilst conditioning electrical power and stabilising the mains power supply to your mission critical systems, UPS systems include consumable components and assemblies. The primary consumable is the battery set but consideration should also be given to the electrolytic capacitors and cooling fans. Your UPS batteries will either be of the five-year or 10 year design life type with replacement required around years 3-4 or 7-8 respectively. Capacitors will typically require replacement around year 10 of operation and the cooling fans that draw air into the UPS system will have a similar working life. Active preventative UPS maintenance can help to identify problems in time for corrective action to be taken. For example, making sure the fans are working and dust-free, inspecting battery terminals for leaked electrolyte residue and plastic case deformation, testing individual battery blocks for impedance and sulfation, inspecting electrical infrastructure connections to control panels, critical loads and maintenance bypasses and so forth. In general, a good UPS maintenance checklist will cover approximately 30-40 individual items as well as general electrical and environmental measurements. Whilst most UPS maintenance is routine for an electrical engineer, each UPS manufacturer and their uninterruptible power supplies require product specific tests and inspection routines. Some may require service or engineer passwords whose distribution is limited to certified UPS engineers, and others licensed software to communicate with the UPS, access logs and amend operational parameters such as a battery set change. Thanks to the internet and search engines, it is not hard to find a UPS maintenance company. A simple web search will identify several. Most UPS companies will promote their maintenance services for the UPS brands they sell and offer a limited service for third-party systems as a ‘catch-all’. So how do you differentiate between a UPS company that you could trust your critical power with and one that you should avoid? Firstly you should select a certified UPS maintenance company for the UPS systems you have installed on your site. Certified UPS maintenance companies have not only certified UPS engineers trained by the UPS manufacturer but access to full technical information, firmware updates, knowledge banks and approved spares. To identify UPS maintenance companies that can support your uninterruptible power supplies, look for accreditation logos and verify their registration with the service department of the UPS manufacturer. Ask for a copy of their certificates and license numbers (if applicable) and then verify these with the UPS manufacturer if necessary. Other factors to consider include the age of the company and its overall service network make-up (own engineers or sub-contractors), company accreditations, UPS experience (size and infrastructure), recycling facilities, market reputation and referrals and credit status. 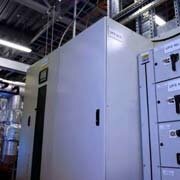 At EcoPowerSupplies we provide UK-wide comprehensive UPS maintenance contracts. Please contact us for more information and to check out our credentials as a UPS maintenance company. For more information contact our UPS service team on 0800 210 0088 or visit our website at www.EcoPowerSupplies.com.